This cosy women's waterproof jacket is built to protect against the very worst winter weather. 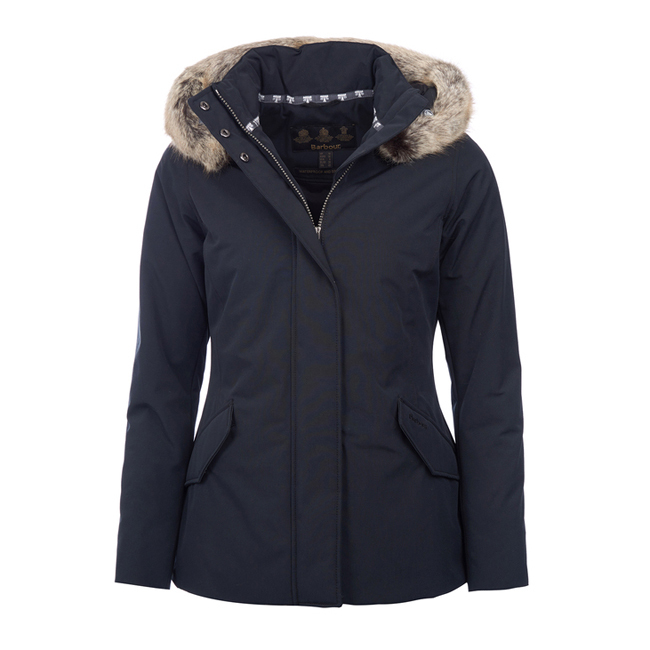 Its waterproof, breathable outer is teamed with warm wadding and a faux fur-trimmed hood. Soft and comfy. Fits perfect not large so might not be able to layer on top of a thick sweater, but can be used with a long sleeve shirt underneath. At first I bought a large (I am 5" 6', 165 lbs). I usually wear between a medium and a large, and I saw some reviews recommending to order a size up. I received the large very quickly, but it was way too big, so I returned it and purchased a medium. The medium came within just a few days of ordering! It fits perfectly, and does the job--a perfect windbreaker and rain jacket! I love Columbia--great quality and great service!